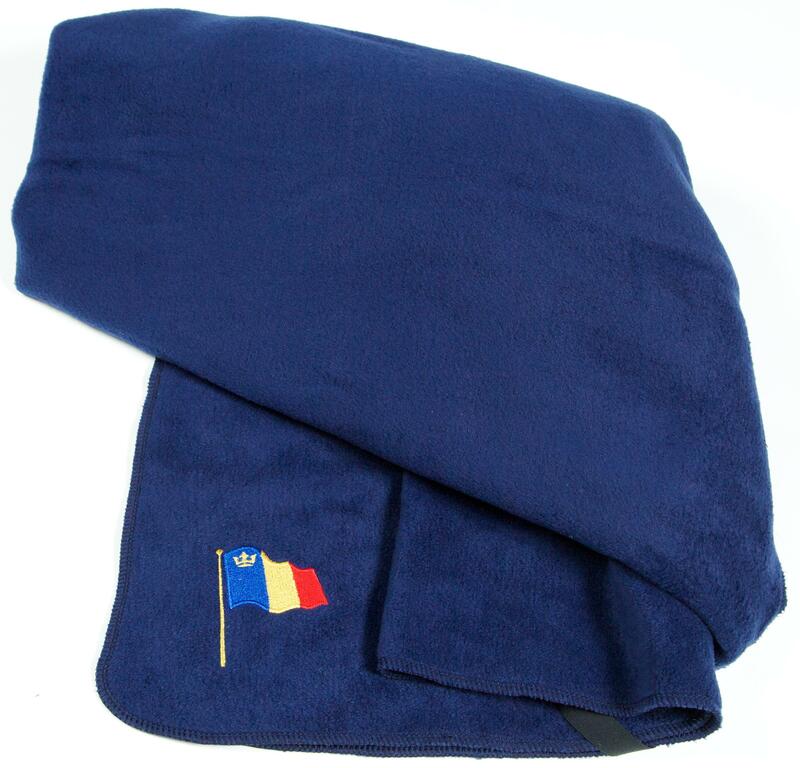 Soft and warm yet lightweight for those cold days and nights spent in a hockey rink or stadium! 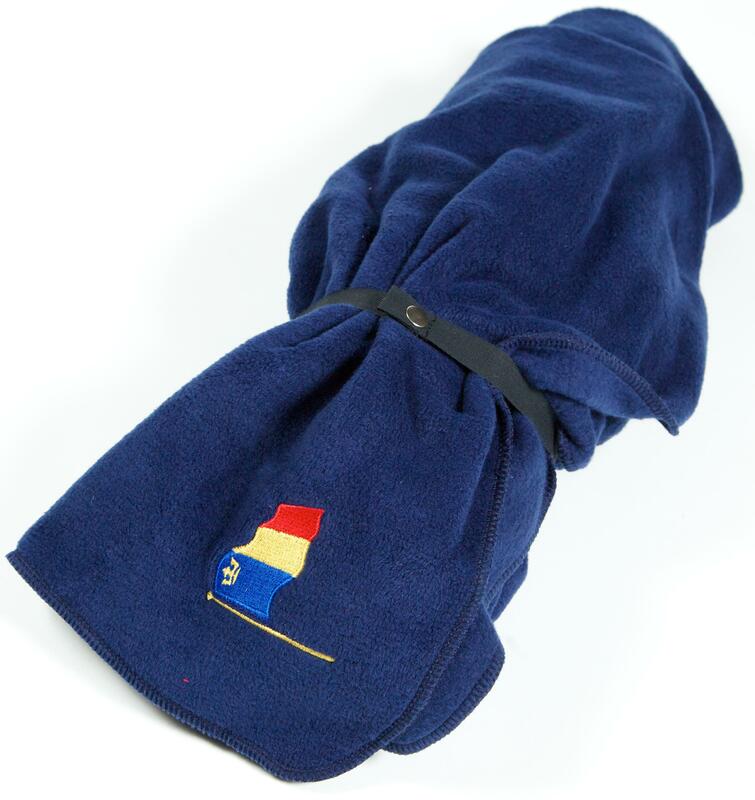 100% fleece with wrap-around strap. Royal blue with embroidered alumni flag on one corner.